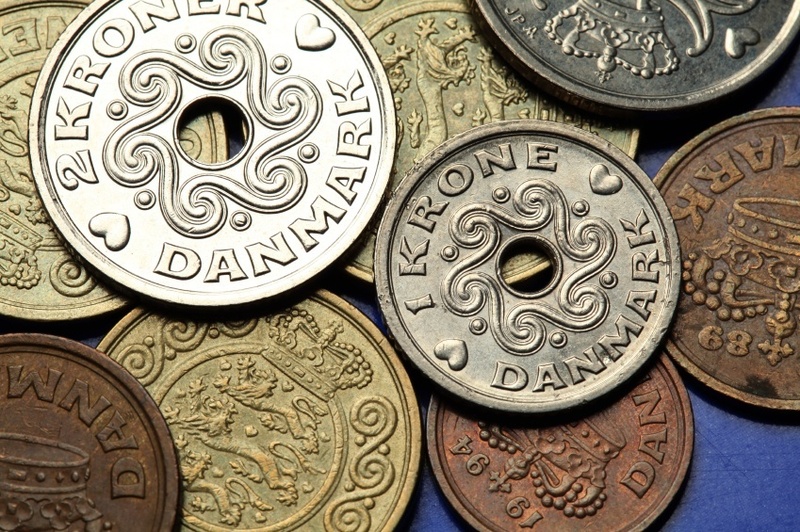 Currency in Denmark has a long history dating back over a thousand years. Today the country has one of the world’s most dynamic and diverse economies with a strong connection to Europe, while retaining its own identity. If you need to buy Danish kroner, you can rely on a relatively stable currency that is tied to the euro. Want to learn more about Denmark? 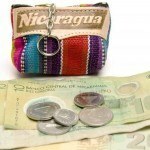 Buy your currency online for delivery or pickup! The oldest Danish coins are the ‘cross-coins’ issued by Harald Bluetooth in the late 900’s and for almost 1000 years Denmark has issued coins with the name of their king. Coins were valued in silver, but in order to make money for the monarchy often the silver percentage in coins was reduced without a corresponding drop in value. As a result people lost trust in the value of coins. The krone (meaning ‘crown’ in English) was first issued in 1619 at a value of 1 ½ Danish Rigsdaler Species or 144 common Skillings. A new krone was the later introduced in the 18th century and during this same period banknotes grew in popularity. This new krone was part of the Scandinavian monetary union between Sweden, Norway and Denmark which ended in 1914, but all three countries retained the name krone. All Danish coins are designed to be immediately distinguishable from one another. Each has its own metal colour; 50-øre coins are copper coloured, the 1, 2 and 5 krone coins are silver coloured and the 10 and 20 krone coins are gold coloured. Within each colour level the coins increase in size and weight based on their value. So the 5 krone silver coin weighs more than the 1 krone silver coin. The 1, 2 and 5 krone coins all also have holes in the middle, and the rims of the 2 and 20 krone coins have interrupted milling while the 50 and 10 krone coins have smooth rims. The different sizes, weights and textures make krone coins easily recognizable for sight-impaired people. In terms of design, the 50-øre coins feature a heart symbolising the Royal Mint on the reverse with the Crown of King Christian V on the obverse. The 1, 2 and 5 kr coins feature a monogram of Queen Margrethe II on the obverse and a traditional design on the reverse. The 10 and 20 kr coins have Queen Margrethe II on the obverse with the national coat of arms on the reverse. The most recent series of banknotes was designed in 2006 by the Danish National Bank. The theme is ‘bridges’ and their surroundings. Representing the link between Denmark’s regions and between past and present, the bridges were designed by Karin Birgitte Lund. On the obverse of each note is an artifact representing the country’s past. Early incarnations of the krone were valued based on the metal they were minted in – usually silver or gold. The gold standard was abandoned in 1914, and although the Danish krone returned to it for a brief time, it was once again abandoned during the interwar period. During the Second World War the krone was tied to the German Reichsmark. After the country was liberated the krone was pegged to the pound at a rate of 24 kr to 1 pound, and then later at 19.34 kr to 1 pound. Today, Denmark is part of the EU though it has the right to opt-out of using the euro. Though there is support for adoption amongst major parties, a referendum in 2000 was defeated by a 53.2% vote against joining the eurozone. Nevertheless the country is participating in ERM II (Exchange Rate Mechanism II, which is a necessary step in joining the euro) and so is pegged to the euro. Track the rate of the Danish krone yourself with Rate Watch. Denmark’s economy is diverse but generally reliant on human resources. There are few natural resources and services make up over ¾ of the country’s GDP, with industry making up 20% and agriculture just 4.5%. The country has the world’s lowest level of income inequality, but no stipulated minimum wage. With one of the healthiest and most diverse economies in Europe, many in Denmark remain skeptical about joining the euro, and it remains a distant proposition. Denmark’s economy is frequently held up as an example to the rest of the world. Unemployment is low, inequality is low, it is diverse, free from corruption and well managed. The value of the krone is reliable and steady thanks to being pegged to the euro vie ERM II. 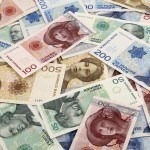 Need to buy Danish krone? 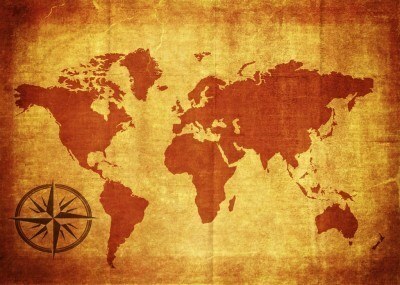 Get on it right away with FXtoGO HERE! For a broader understanding of Danish history and culture check out our Country of the Week profile. For information about traveling to Denmark then be sure to follow our Travel Guide.